Make sure to check out the feature comparison matrix to make sure you get the version that's right for you! Sure, you're quite diligent about backing up your critical data at home, but what about your website? Do you just naturally presume that your hosting provider has a reliable backup strategy, one that can successfully restore your site's files in mere moments? Do you have a backup-backup plan in case your provider isn't up to the task, or even worse, just gives up completely and goes dark? The best way to ensure that your operations won't be blown out of the water by a server or database failure is to back it up to your own computer and/or your own cloud-based storage account. First step -- get a copy of today's discount software promotion, BackupSF Basic! 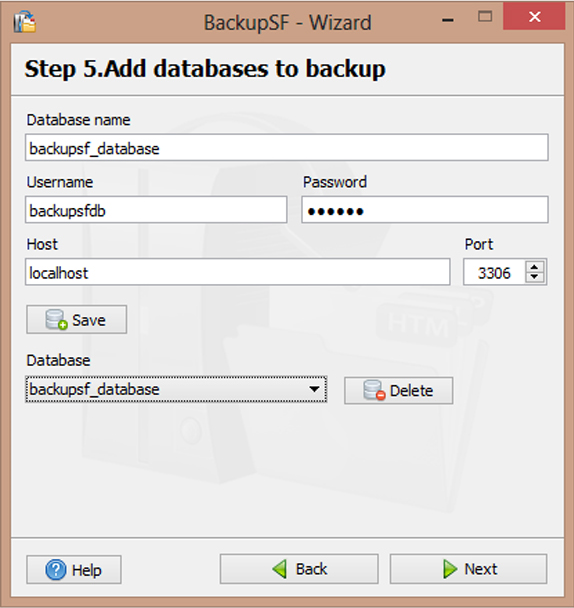 BackupSF Basic lets you back up critical website files and databases to non-host locations, enabling quick recovery in the event of the host's server failure, infection, or corruption. Hosting providers have been known to lose entire hard drives, taking not only their hosted sites, but also all recent backups, down to never-never land. Worst of all, your site can suffer malware infection that turns it into a spambot server - and unless the host server's backup is clean, all is lost! With BackupSF Basic, your website is safely backed up on a local drive, or, even better, a cloud-based folder such as Dropbox. Just upload the files and database back to your host's server, and you're back in business! 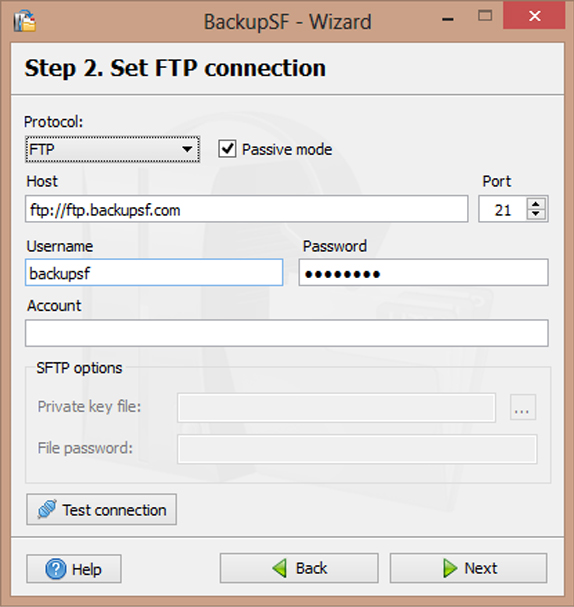 BackupSF Basic uses FTP to backup files and PHP scripts to backup MySql to ensure that everything about your site is safe and secure, which also makes restoring your site quick and easy using any FTP client and database import tools. Think about the degree of permanent damage to your reputation and revenue stream you would suffer if your site were down for an extended time, then think of how happy and joyous you'll be when you remember your BackupSF Basic backup! It's a no-brainer and a must-buy! 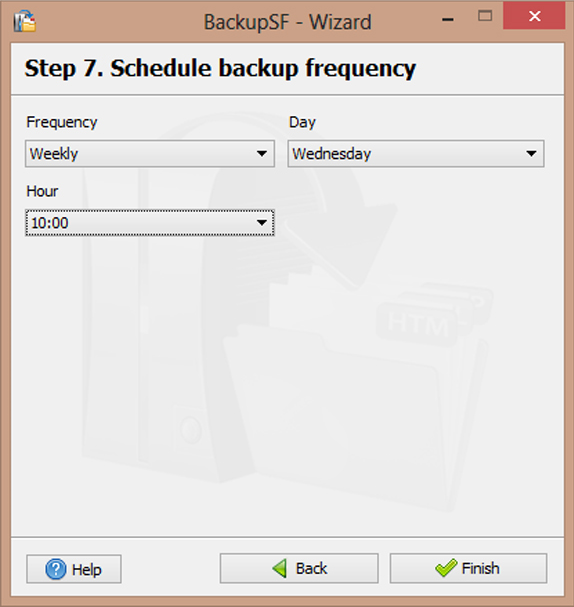 After you purchase BackupSF Basic it may be used indefinitely. 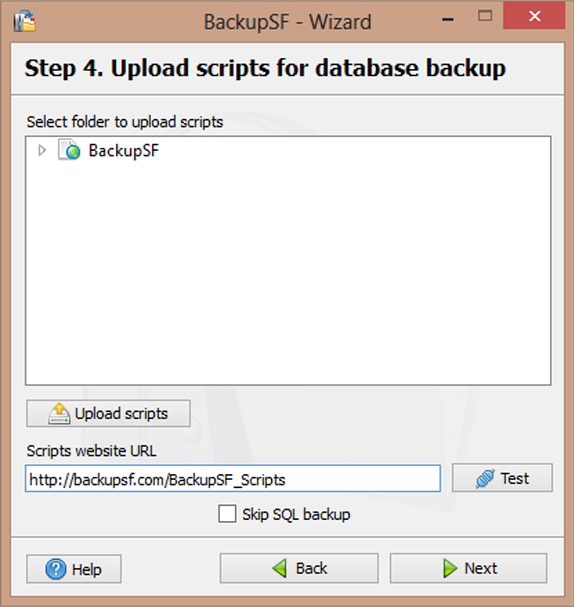 BackupSF Basic is licensed per user, so if more people are going to use BackupSF Basic you will need to purchase additional copies. Support is provided for 36 months after your purchase. Constantin Florea @Jhon User, Thanks for letting us know about this. The issue has been fixed. I bought the unlimited version. Just a happy camper with this. I use several backup methods and this one is quite safe IMHO. singularity @Roberto Any other similar tools you recommend? govertz @Roberto is right, this is a very useful back up tool. If you don't like a non WP script on your installation, the script is for the database dump. 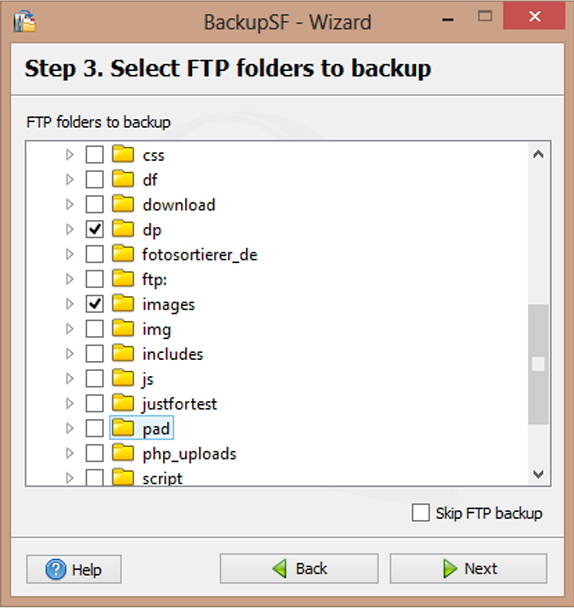 Then use a WP-plugin to backup database on site, and then let BackupSF get the site folders and files, including db-backup, via ftp to your computer and Dropbox folders. 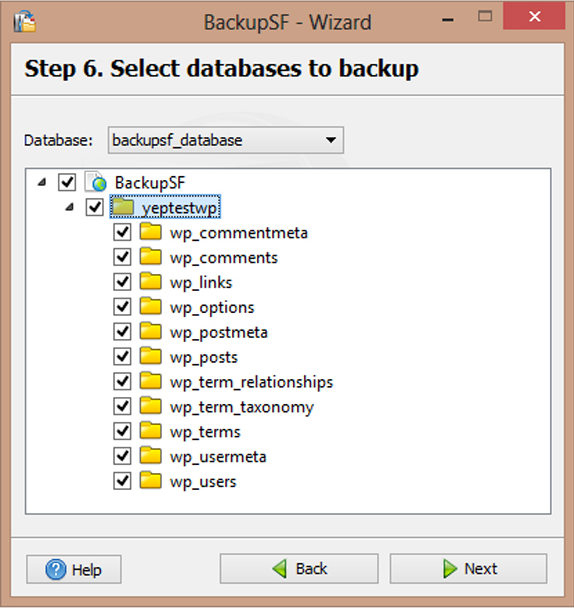 I have used BackupSF since 2012, to backup 5 WP sites, and it have never let me down. I take it a step further, I distribute the files BackupSF collect and send it to my cloud storage and an ftp-server, with help from the free Cobian Backup tool. All automated. govertz I have deleted this comment, due to wrong subject. govertz @Fadi I'm just done skipping them an email about these links, I think the ownership or distribution company has changed, but I don't know. I will not give guaranty of any kind, but I have used this software since 2012, and in my version the same thing happens, but there is nothing wrong with it. I have downloaded this offer to, and there is no warnings from any of my protection software. Sam User Scroll down (click read more) on the previous message to see the web address, if you haven't done that. Braden Parker Just installed this. And I am happy to report it works absolutely wonderfully! This will replace the built in plugin in I was using. I have this set to back up my site to an external eSATA hdd. Thanks, guys! Sam User Just a quick question @govertz .. Is a plug-in required for backing up the Wordpress site, or does it do it natively? Nico Westerdale Great News! Easysector has agreed to extend this deal for another day - Enjoy! Roberto @dtouch, there are some tools like mysqlbackupftp but they take a diferent aproach. As I said, this one works fine for me. There is room for improvement, for example the scheduler. This is not the faster guy in the field when you have to ftp the site, backups take a little bit. There are many backup/ftp/sync programs, my favourite is syncovery.. but that does not backup the ddbb. There is soft that only backups databases, like Auto Backup for MySQL. But no ftp. Maybe many people does not need all the bells and whistles and just want a simple backup software. singularity @Roberto Have you left SiteVault Pro on purpose? If not give it a try. http://www.site-vault.com/ . It is tailored for cpanel too. Works similarly with a script and looks way faster and files are secure in a custom archive. govertz @Sam User No a plugin is not required, BackupSF use a script to retrieve the database backup. Some people don't like to have non WordPress scripts in the root of their website. If you are one of those people (I am), you can use a plugin to make a db backup and place it in af folder, this is the way most WP backup plugins works. And include this folder in the ordinary backup. This way you have a choice, plugin or script, for a full backup. Sanjay Kumar I have purchased the unlimited version. When I try to install it Webroot Security Anywhere finds W32.malware.gen threat in backupsf3.exe. Can anybody let me know how can I attach screenshot? K. Christoph Nice to see you ! I'm just trying the basic-version. >>> a site full of advertising !!! Daniel Gaudet I was reading the fine print and it says that it comes with 3 years support. Does it mean that the free version today will have 3 years support? The vendor's website shows 1 year for the basic version. Along similar lines, if I purchase the unlimited version, will I get lifetime support as is mentioned on the vendor's website, or only 3 years as mentioned in the fine print? Chris I think there is no support since the vendor can't even come answer questions. And seeing a lot of people say their domain is for sale isn't a good thing to make you want to purchase the software. Daniel Gaudet @Chris: I think I'll follow your advice and pass on any of the paid versions. I've gotten the free version, but I won't expect to get any support. David User Just tried to order. The used credit card and got standard email - bur domain is for sale! Downloaded from another site but won't accept lookup for updates or link to help file. Am requesting a refund if this can't be sorted. Constantin Florea @David User, I just contacted the vendor regarding the issue you mention. We have to fix the links inside the software interface. If you are not satisfied with the software - please uninstall it. If you need a refund - please request it via ShareIt and we will confirm it today (but, do not forgot to uninstall the software). If you need our old backupsf.com domain - you can buy it :). Sam User @Dmitry ... Maybe it's a good idea to allow for at least one time free update for the free version after the links inside the software interface are fixed. But you would need to tell us how you will notify us when you are done fixing. May a message on this forum would do. Dmitry Goncharenko @Sam User You right. We will fix this nearest time and publish notification. Sam User Good man Dimitry. Make it a one year free update, if you would.